By the time of Queen Victoria’s and Prince Albert’s births in 1819, the 3rd Marquess of Lansdowne had held his title for 10 years. Born in 1780, Henry Petty-Fitzmaurice had been appointed Chancellor of the Exchequer at the tender age of 25 and went on to serve under eight prime ministers. In 1869, the now 5th Marquess of Lansdowne was appointed a Junior Lord of the Treasury, aged 24, going on to distinguish himself as a statesman. During the latter part of Queen Victoria’s reign, he served as Governor-General of Canada and Viceroy of India, for instance. Queen Victoria offered both the 3rd and 5th Marquesses dukedoms in recognition of their political service – both declined! Set in The Orangery and curated by Bowood’s archivist Dr Cathryn Spence, The ‘Victoria, Albert and the Lansdownes’ exhibition (30th March – 3rd November) will draw on Lansdowne family correspondence, diaries, paintings and photographs. Heading up to the House’s Exhibition Rooms – which showcase the Bowood Collection of art, antiques and historical artefacts, for example, the gilded chair and footstool used by Queen Victoria at her wedding in 1840 and a sprig of orange blossom from her bouquet are on display in the Victoriana section, having been given by her to the 3rd Marquess who attended the wedding as Lord President of the Council. The Indiana section then contains gifts received by the 5th Marquess during his time representing the Queen-Empress as her Viceroy from 1888-1894. The Victorian age witnessed a growing vogue for walled gardens to serve large country houses with fruit, vegetables and flowers for their day-to-day purposes and more elaborate entertaining. 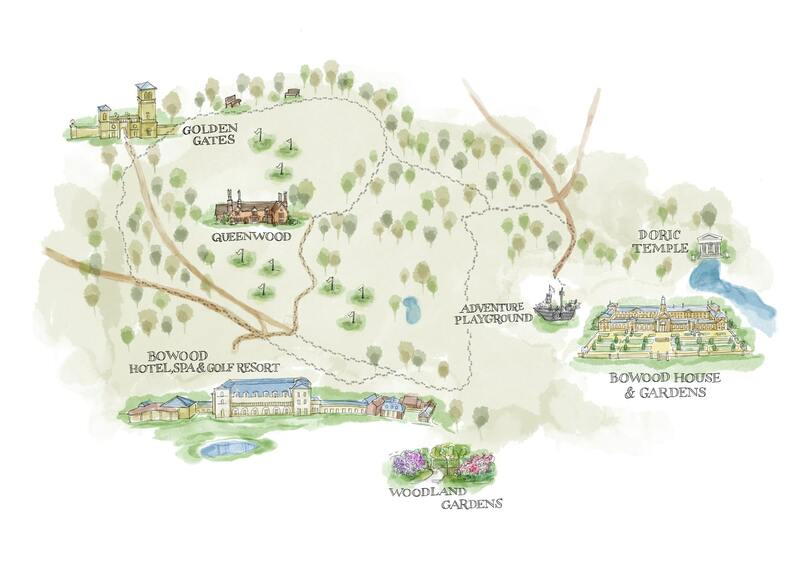 Well ahead of this period, Bowood House’s own four-acre plot had been created in 1754. 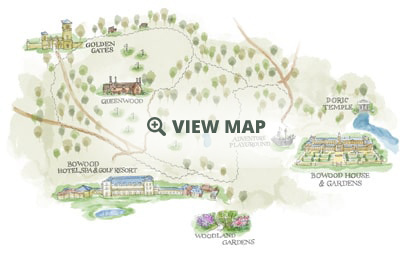 Situated behind Bowood House, it comprises four distinct, one-acre squares comprising formal borders, a picking garden, glass houses and a working kitchen garden packed with fruit and vegetables. Lord and Lady Lansdowne open up their private Walled Garden to the public for scheduled weekday morning or afternoon guided tours. Angled around the season and what is in bloom at the time, the 60-minute tours also take in the Italianate Terraces that front the Diocletian wing of Bowood House and the Pleasure Grounds surrounding it. More reflections on Victorian horticulture are to be found within Bowood’s Woodland Garden, two miles from Bowood House. It was here that the 3rd Marquess of Lansdowne, around 1854, started the planting of rhododendrons on a narrow strip of green sand (key to the garden’s standing today), running between Poole and the Wash. 1850-60 saw the first of three stages of rhododendron planting in the UK (the other two being in 1900 and 1950). The planting tradition begun by the 3rd Marquess has continued down the generations with his grandson, the 5th Marquess, adding significantly to the garden on his return from India having been inspired by the species and colours he encountered there. His great-grandson, Charlie Lansdowne (today’s 9th Marquis) has – since 1972 when he took the helm at Bowood – continued the planting undertaken here by successive generations of his family. Setting to work in 2006 on what became a seven-year labour of love, Lord Lansdowne then unveiled the Woodland Garden’s new, additional four-acre ‘Jubilee Garden’ in 2013. With the spirit of the Victorian garden drawn into the present time, the Woodland Garden’s heavenly display of bluebells, bluebells, magnolias and azaleas covers some 30 acres today. It will again open to the public in 2019 for its annual six-week run from late April-early June.